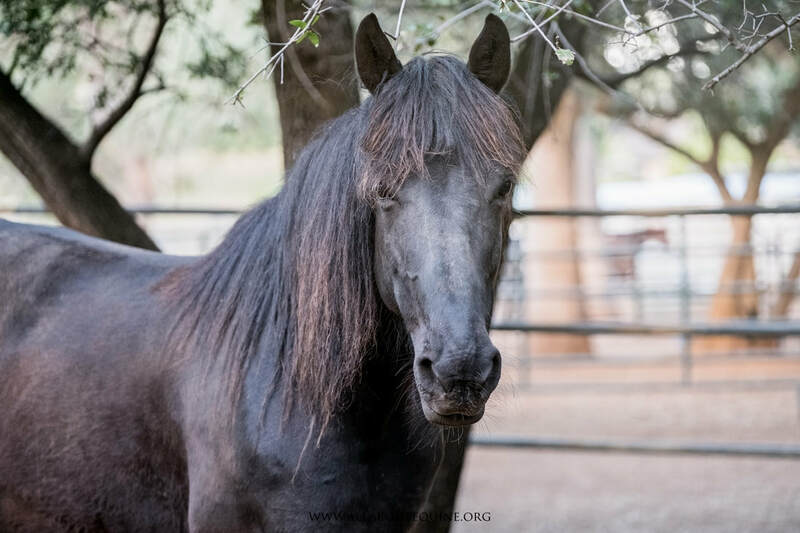 Maya is a beautiful 12-14 yr old mare that was rescued by her former owner from extreme neglect and abuse. She came to AAE at the end of September 2016 when her owner was diagnosed with stage 4 breast cancer and would no longer be able to care for Maya or work with her due to illness, and terminal prognosis. Not having a place for Maya to go, Maya’s owner and daughter tried to rehome her via a Craigslist ad that turned into a pretty scary experience. Maya generated ALOT of interest, but all from backyard breeders, trainers looking for a resale project, and someone even wanted to make her a dancing horse. Her owner felt she deserved a forever home with someone who would LOVE her, not breed her or “train” her to resell at a profit. They contacted AAE and over a few months a place became available and the owner made plans to get Maya from the California, Oregon border to AAE. So, September 28 the transporter picked up Maya in the morning and her adventure to AAE began. The transporter had requested a Coggins test, as he had to go into Oregon and come back to CA. When there was no word of Maya that evening, efforts were made to contact the transporter. Concern was setting in over the Coggins test and that Maya might actually be on her way to Canada. Finally, the transporter called back and he was in the Bay Area, he would be headed back to AAE with Maya and deliver her in a few hours. Maya arrived after 10pm that night, frightened, but OK.
​Soon after arrival, Maya received a veterinary exam and she was diagnosed with Degenerative Suspensory Ligament Desmitis or DSLD. Due to her DSLD, she will need a companion home with relatively flat ground where she will not be pushed around or pushed to move by other horses. Maya has been at AAE for over a year now, where she is safe and gaining confidence, while waiting for her forever home. In the meantime, Maya would love to have a sponsor, like many of the other AAE horses. Sponsors provide a support team for AAE to ease the cost of care and help make caring for more horses possible. Maya has yet to find her supporter and sponsors are so important to long term, companion home, adoptees like her. Some day she will make someone a wonderful companion. Today, she just needs someone special on her side.